No. 3: It's only wafer thin! 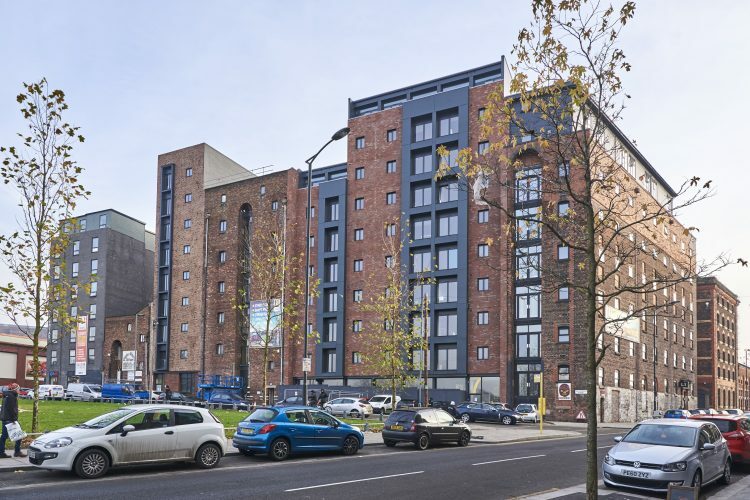 RISE worked with the timber frame specialist SticX to deliver the new developments along a whole street at Bridgewater, Liverpool. 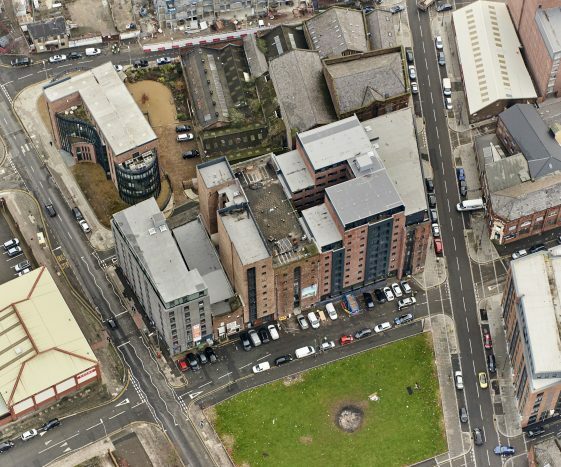 By integrating the existing within the new, the development of student accommodation makes best use of the derelict buildings whilst providing a contemporary feel across the street. 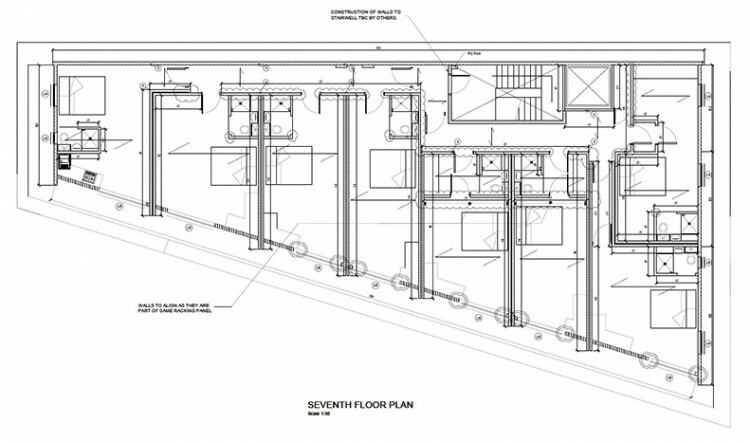 A seven storey timber structure was added on top of a two storey steel framed structure above a basement. capacity against the wind load. Special details around the building were provided to tie the floors together and onto the steel frame below. 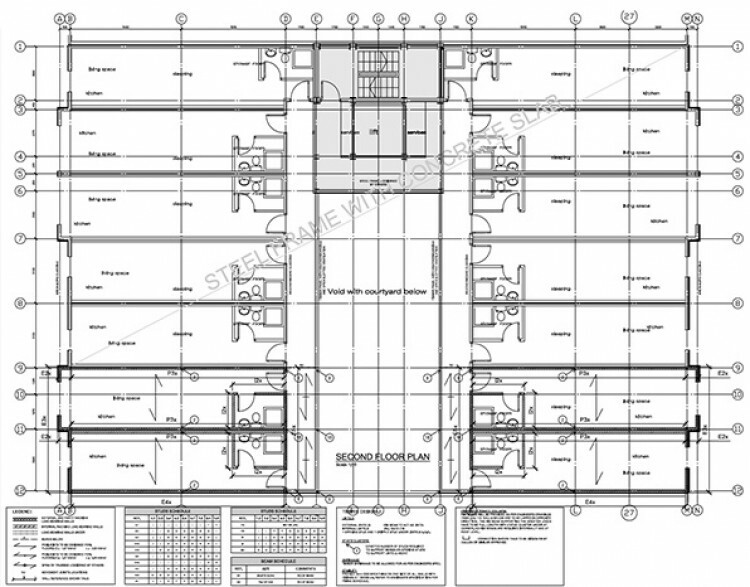 A seven storey timber structure was provided on top of a steel frame, one story on one side and three storeys on the other which introduced a step within the construction. 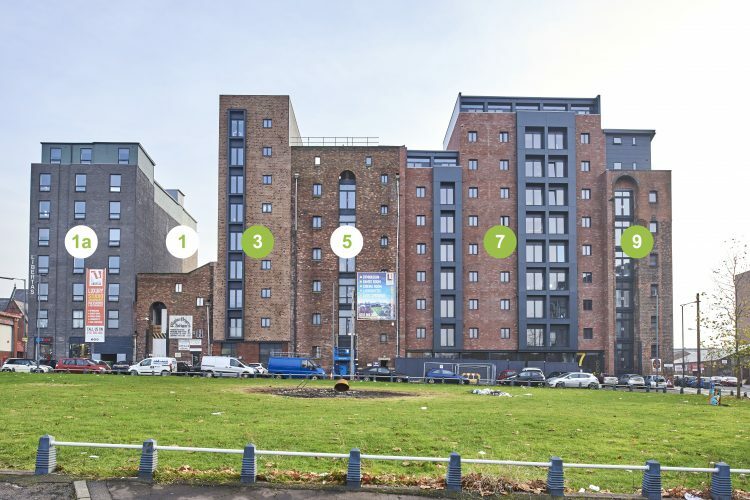 In plan the building has a large courtyard separating the right and left sides with an external balcony, staircase and lift shaft in the middle rear of the building. The balconies which create the access along the accommodation are also in timber, providing a much cheaper structure than the original proposed steel frame. Two storeys were added on top of the existing masonry structure. The existing building was a seven storey high former warehouse, trapezoidal in plan measuring 30m long varying in width from 7.5m to 15m. RISE designed the timber superstructure which was built off a new steel frame, supported on the roof of the existing building. The timber frame construction involved a prefabricated timber-platform method, which allowed quick erection on site and kept costs down. All walls were prefabricated using panels formed from timber studs 89 x 38 with 9mm plywood fixed to one side with special fixings to provide the racking stability for the buildings. The floor and roof were formed in 249mm deep posi-joist floor cassettes with an 18mm OSB sheathing fully fixed to the top of the joists. 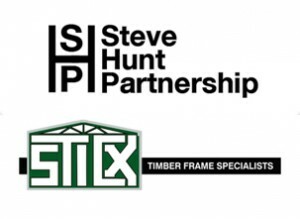 All the timber frame elements were fabricated and erected by SticX.